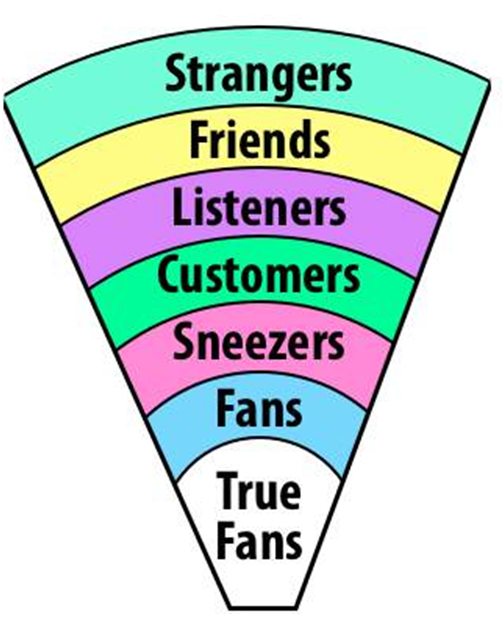 Seth Godin’s blog post today is worth echoing…in it he proposes a hierarchy of relationships and reminds us that it takes an exorbitant amount of energy to acquire and transform a “stranger” into a customer who is a “true fan,” – as in, it’s not worth it. We all know the route of penetrating and extending from existing clients is much more efficient and successful, but sometimes we just can’t resist the temptation to burn energy and resources trying for that elusive stranger. Instead, Seth says, consider the option to “…absolutely delight and overwhelm” [you true fans]. This entry was posted in Marketing and tagged Marketing, Seth Godin on May 17, 2010 by Tim Kocher. Like success in any professional career, there are many ingredients to success in selling. 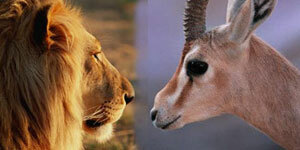 Accurate opportunity targeting – as my friends at Selling To Zebras will tell you, is a critical one. Chase the right prey and your hunt will be more successful. Another key element is using a solid framework (pick a methodology that fits your situation) for high-gain conversations with prospects to elicit their needs and to link your solutions in meaningful ways. Also important are elements like pre-call planning, lead-nurturing, compelling proposal creation, Ferocious Follow-up – the list is too long to discuss in one post. One inescapable success factor is activity. A wise sales mentor once told me that activity yields opportunity which yields results. Sometimes hearing that sales is a “numbers game” is a turn off. It makes the sales process seem cheesy or pushy in some way. But the fact that you need to produce quantity as well as target quality is not a contradiction. It takes both. You can have the best targets in the world, but unless you are acting on them daily, all you have is a glorified list. Go ahead – put up some numbers today! This entry was posted in Sales and tagged activities, motivation, Sales, Selling to Zebras on May 14, 2010 by Tim Kocher. Is Your Follow Up Ferocious? We’ve just crawled out of one of the toughest patches in business that any of us can remember. Thankfully, things seem to be stabilizing and even slowly beginning to grow again. However, every opportunity will be harder fought – tougher to find, tougher to close. Yet, I see the cardinal sin being committed – A lack of priority follow-up on business leads. In this fragile recovery, you must execute strong follow-up – no – Ferocious follow-up. Get Ferocious. You competitors are! This entry was posted in Sales and tagged McCord, Paul McCord, procrastination, Sales on May 12, 2010 by Tim Kocher. This entry was posted in Sales and tagged motivation, priorities, procrastination on May 12, 2010 by Tim Kocher. Erik Qualman, author of Socialnomics, has updated the stats in this now famous video. Yes, it’s funny that a recently published book needs its stats refreshed – but that’s how fast this stuff is moving! I like the new version even better. I have found it an invaluable tool in firing up an audience before a social media meeting, getting the troops excited within our own interactive practice, or just generally communicating the importance of this revolution. Make it part of your repertoire. This entry was posted in Marketing, Social Media and tagged equalman, Erik Qualman, Qualman, Socialnomics on May 5, 2010 by Tim Kocher. This is an excellent example of fighting a PR conflict using social media. Who looks like the cool victim here and who looks like the big, cold corporation? Method will even let YOU DECIDE! Check out the microsite they stood up which includes the video above. Talk about making lemonade from lemons – AND they simultaneously take on a giant competitor and reinforce their brand story! Smart! This entry was posted in Marketing, Social Media and tagged Clorox, Marketing, Method, Social Media on May 5, 2010 by Tim Kocher. This entry was posted in Marketing, Social Media and tagged Blogging, Marketing, Mashable, Social Media, The Four Hour Work Week, Tim Ferriss on May 1, 2010 by Tim Kocher. Please enter your email address to subscribe to The Mashup and receive notifications of new posts by email.